I came across a clip of Rupert Murdoch’s questioning by the British Parliament and it reminded me how, a few months back, I was inspired by Murdoch’s “tiger wife” Wendy Deng who leapt into action when someone threw a pie into her husband’s face. It’s surprising how many people search the term “Wendy Deng” and find their way to this article. For some reason there were about 10 who found it today. So …. here it is again for the Wendy Deng fans out there (count me in). As I was watching Rupert Murdoch being grilled by British Parliamentarians, I found myself wondering idly who the sternly attractive Asian woman in pink was, sitting right behind him. 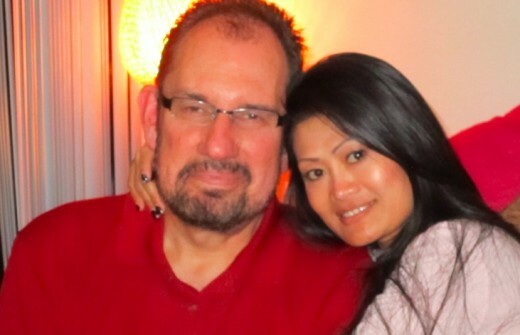 I hadn’t followed Murdoch’s story well enough to know that she was his wife, Wendy Deng. Then came THE MOMENT that everyone is now buzzing about — a pie wielding interloper approached Murdoch, and the woman in pink was the first one to grasp what was happening, leaping to her feet and delivering a mighty volleyball spike into the attacker’s face with a smack that can clearly be heard on the video. Now, a day later, we all know who Wendy Deng is — the 42 year old third wife of Rupert Murdoch, a woman who grew up poor in China, engineered her way to the US and into Murdoch’s company and life, and now has been his wife for 12 years, mother of two children with Murdoch, smart and competent by all accounts, “designing” in the words of Murdoch’s mother, but generally acknowledged to be seriously and deeply in love with the old guy — and very clearly a fierce Tiger whose instant physical defense of Murdoch has earned her the nickname “Smackdown Sister” on Weblo, China’s equivalent of Twitter. I found myself watching the video quite a few times, and taking a feeling of awe,and a little pride from it–not immediately sure why it seemed so personal to me, until–in what can only be described as a “duh” moment — I realized that the reason Wendy’s actions resonated so well with me is that I have my own Tiger wife, and like Murdoch I’ve had the gift of fierce, heartfelt protection the likes of which my brethren with non-Tiger wives have never experienced. Indeed, life has thrown more than it’s share of pies at me in the last couple of years (self-generated, no doubt, but pies nonetheless) and at every step of the way, Rena has been as unswerving and instanteneous in her defense of me, our family, and our sanity as Wendy Deng was yesterday. So as we marvel at Smackdown Sister, I am moved to pause for a moment and consider the blessing of my own Crouching Tiger, Flying Rena……a woman who every bit as remarkable as the now suddenly world famous and universally admired Wendy Deng. I didn’t think of Rena as being particularly “fierce” when we met — in fact she was the opposite: quiet, demure, shy, non assertive in the extreme. I remember when we had our very first moment of discord, three or four months into the relationship, tears welled up in her eyes at almost the first harsh words. I suddenly felt guilty and abruptly said I was going to leave for awhile (meaning go outside and cool off), and I’ll never forget the stricken look on her face, and the way she burst into tears and held onto me until I suddenly realized that she thought I meant I was leaving altogether, not just for a ten-minute cooling off period–this at the first hint of any strife whatsoever in the relationship. She seemed terribly fragile and innocent and vulnerable in that moment — not a Tiger at all. Needless to say, that moment resolved itself without further tension — how could I not love someone so innocent and vulnerable and pure and giving? Yet the shyness aside – there was a toughness that was hard to see, but which came out in little ways. She was determined to improve herself and grow. One day she said “I’d really like to learn to drive” and I said okay – find a driving school and we’ll do it. The next day she came home with an application form and price schedules – filled it out and boom – two weeks later she was a licensed driver. Around the same time she said, ‘I’d really like to go to college’ (this from the youngest of twelve, the only child in her family to have finished high school, the only one to hold down an office job), and I said okay — and the same thing happened: brought home the applications next day; enrolled within a week, and after that she just sailed through college without blinking, graduating on time. 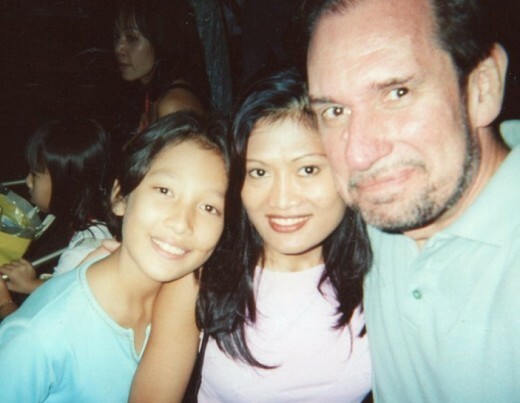 Years later, after we were married, we decided to move to Los Angeles from the Philippines but there was the problem of getting my daughter, Michelle, to the US with us. 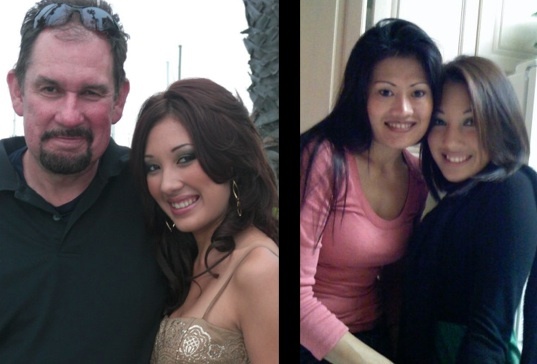 Michelle wasn’t Rena’s daughter — she was the product of a prior relationship — and there were custody and visa issues that had to be resolved, all within an atmosphere of urgency because Michelle had developed drastic scoliosis and was urgently in need of an operation in the US. 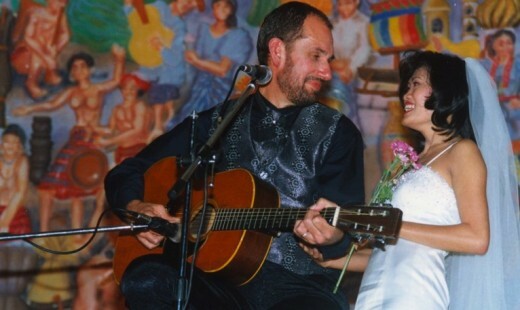 I won’t go through the entirety of Rena’s “Tiger” performance in Michelle’s case — but it all came down to Rena making a trip to the Philippines that was supposed to last three days, to pick up Michelle, who was then 11, and bring her to the US. All went well until they got to the immigration station at the airport en route to their departure gate — it turns out that in spite of the dozens of documents and sign-offs they had obtained, there was a missing document that needed to be signed by Michelle’s birth mother, and without it – she could not leave. Turns out, the fact that that document hadn’t been signed was no accident. Michelle’s birth mother had, while outwardly showing signs of cooperation, intentionally withheld her signature from the last key piece of documentation. For six interminable weeks, Rena stayed in the Philippines with Michelle, pursuing every angle possible to make it possible for Michelle to join us and get the surgery she so badly needed. Michelle wasn’t her child — in fact, she was a complication in our lives whom Rena could have quite easily and quite naturally resented. But nothing of that sort happened. Michelle was my daughter which meant she was our family, and Rena was relentless and heroic in her pursuit of the signature that would make it possible for Michelle to leave. And after six weeks and numerous disappointments and near misses — she got it, and she and Michelle were able to board a flight to Los Angeles and join me here. After Michelle was in the US, the time came for the operation on her back – a series of operations, actually, that required eight weeks of painful hospitalization as the series of operations to straighten Michelle’s back were undertaken–operations that included even having to extract a portion of 5 ribs that had become gnarled as a result of the pressure from the twisting, spiraling spine. Rena never left the hospital — rooming in with Michelle for the entire period, watching over her like a hawk and ensuring that nothing went amiss throughout the entire two month ordeal. When I learned the Michelle was insisting on telling the nurses that Rena was her “real” mother (not a stepmom), I realized how powerfully the bond between the two of them had been forged. Rena’s Tiger-ness isn’t only directed toward our little nuclear family — her own larger (much much larger) family is the beneficiary of it as well. Back in 2006, during better times when I was making enough money to support us here in LA, she took her weekly paycheck and send virtually all of it to her family in the Philippines so that they could demolish the flimsy native dwelling that had been the family homestead, pure a foundation, and build, with their own labor and working from designs rena drew out on a piece of paper and sent to them, a sturdy two story cinderblock home strong enough to withstand any typhoon and provide a level of stability that the family had never known. 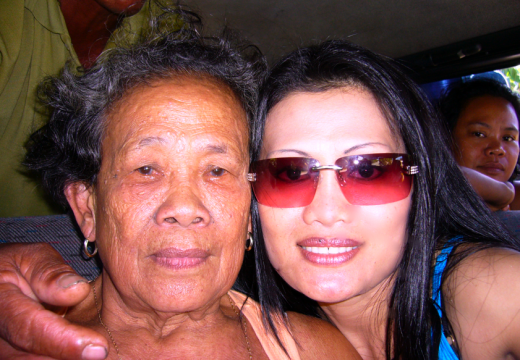 Since then, she has continued to make sure that her aging mom and dad have the medicine that literally keeps them alive, while providing tuition money for those nieces, nephews, and grandchildren who want to follow in Rena’s footsteps and get a college degree. She’s managed to do this even as our personal financial situation has gone from tolerable to dire — so much so that a few months ago Rena, who has always worked with me in our family business — realizing that the business was in trouble, took it on herself to go out and get training in a completely different field, training at which she excelled (of course) and now she’s about to graduate and is already getting job offers that will protect the family but creating a second source of income independent of our mom and pop business. She didn’t have to do that — in fact, our situation, with the business struggling, and other unexpected problems visited upon us– was the type of thing that is supposed to put stress in a marriage. But with Rena, it was the opposite. She rose up, ferocious a fierce, protecting the family without the slightest moment of hesitation. I have been thinking a lot about this last part — how, when we were threatened, she didn’t hesitate, she just came up with a solution and made it happen. No one asked her to do what she did — but she looked at the situation, realized that something needed to be done, and she did it. Her actions were every bit as decisive and “fierce” in their own way, as was Wendy Deng’s moment of physical protection of her husband before the cameras of the world yesterday. Today, 15 years into our relationship, it feels as new and fresh as it did at the beginning, only now it has roots that have grown and intertwined themselves between us, connecting us in a way that is almost impossible to describe. I remember way back at the beginning, when I first met her, and we would lie quietly together, “spooning”, she would find a way to mold her body against mine that was unlike anything I had every experienced previously. It was as if she could find a way to connect every square millimeter of her body to mine, in the process achieving a physical closeness and sense of being connected that was unlike anything I’d every experienced before. Then, it just seemed like one more small physical manifestation of her love — but in retrospect (and still reveling in the wonder of it, 15 years later, every time we end our day together and pass into the sweet escape that sleep brings), I see in that simple ability to mold together physically not just a physical expression — it goes deeper than that and goes to the ability to bind one’s self to another person in a way that is spiritual, not just physical. The roots that have grown between us are such that now, even if we’re not in that almost rapturous spoon position, the feeling of closeness never leaves us. It was the fierceness of my Tiger wife that showed me that such closeness is possible; and it is the same fierceness that protects us and makes me thankful everyday that I am blessed to have such a partner.